Have you ever been caught spell-less by a gang of hungry gnolls? Do your hirelings groan under the weight of carrying your magical library through the wilderness? 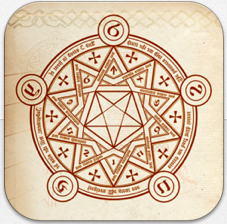 Now you can carry a massive tome of spells in your pocket! 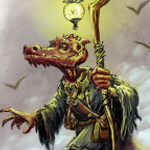 The Deep Magic Spell Reference for iPad and iPhone (with an Android version coming this summer) includes hundreds of Pathfinder Roleplaying Game compatible spells from Deep Magic, the mammoth collection out now from Kobold Press. Download this great RPG resource today for a mere $2.99—this introductory price is for this weekn only! I’ve just spent 10 min exploring the spells in this app. Very cool. Be great fun unleashing these spells on unsuspecting players. I bought this app and loved it. It’s got tons of fresh new spells that don’t unbalance gameplay, and that are not just repeats of old spells with new frills. I absolutely loved it and have been using it in my current D&D 3.7 Iron Kingdoms campaign that I am running with my older kids and some friends friends BUT I have stopped using the app because when I upgraded my phone and got a new iPad along with it. When I tried to download the app to my new iPad the App Store kept telling me that it is not available in the United States anymore. Is there any other way to re-download this app? I really miss it! If there isn’t, is there anyway I could get a copy of the paper back Version or at least PDF of it. I just upgraded my iPhone, and was disappointed to find that the app didn’t transfer over with the rest of my backups. I tried to download it from the App Store, but I can’t find it. 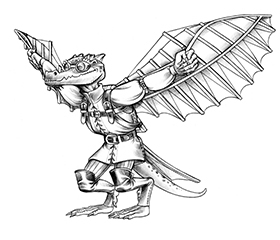 I’ll reach out to the Kobolds on their Google+ community. You asked about a paperback or PDF version. I don’t think there’s a paperback version, but you can get the hardcover or PDF version here: https://koboldpress.com/kpstore/product/deep-magic-pathfinder-rpg/.